A simple salad uses one vegetable, such as lettuce, sliced cucumbers, shredded carrots, or roasted beets and is dressed with a vinaigrette or creamy salad dressing. 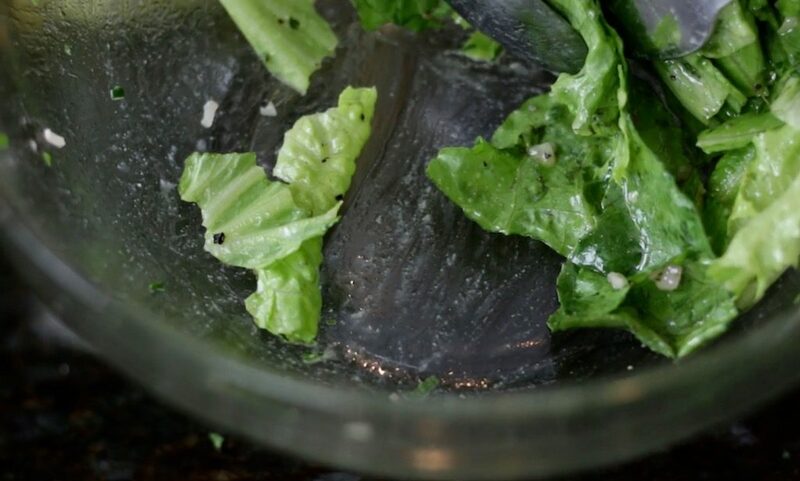 This simple salad with French vinaigrettes uses Romaine lettuce and the vinaigrette is made with olive oil, red wine vinegar, Dijon mustard, chopped shallots and a few minced fresh herbs. A simple rule of thumb for a basic vinaigrette is 3 parts oil to 1 part acid, such vinegar or citrus juice, salt and pepper. Want a tangier dressing? Use 4 parts oil to 2 parts acid, salt and pepper. Dress up the vinaigrette by adding minced garlic, shallots, fresh or dried herbs, spices, tomato paste and/or grated cheese, such as Asiago or Parmesan. Make small batches when using fresh aromatics, such as garlic, shallots or herbs. The bacteria in dirt is anaerobic, meaning it survives in oxygen-free environments like vinaigrettes or salad dressings. Keep in the refrigerator only for up to five days. Use the dressing sparingly – just enough to coat the vegetable and nothing pooling in the bottom of the bowl. True French vinaigrette isn’t creamy, orange or sweet. This is a classic recipe, made with olive oil, red wine vinegar, Dijon mustard, chopped shallots and a few minced fresh herbs. 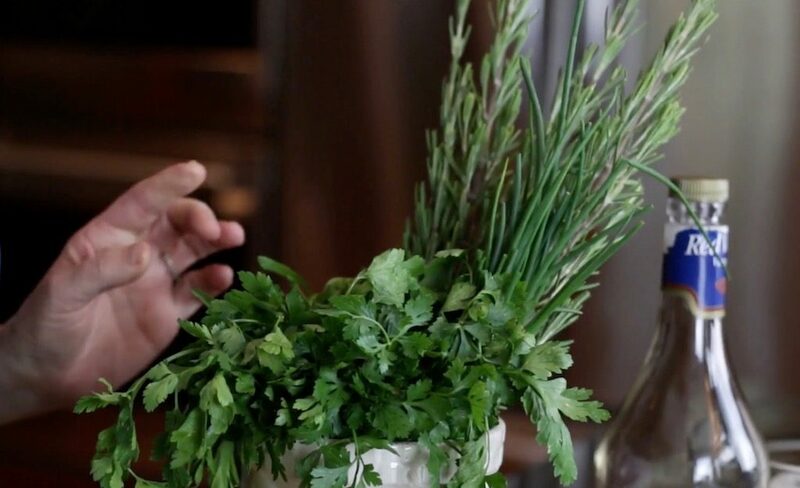 Use at least three herbs, such as parsley, thyme and tarragon. 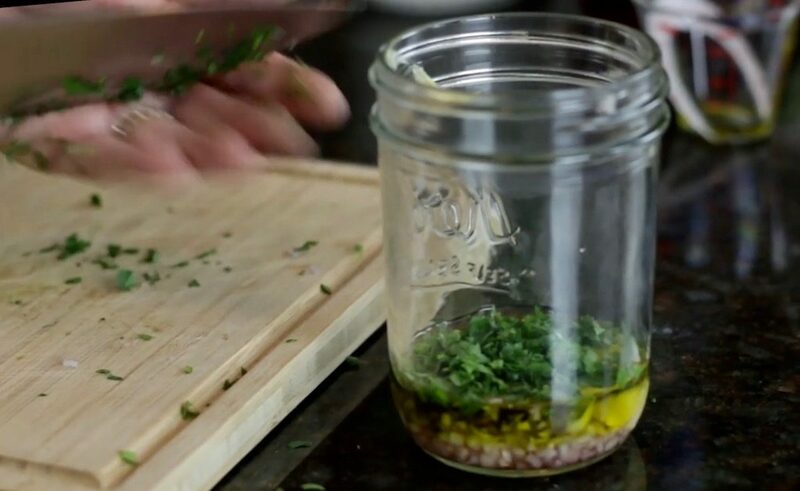 Place the oil, vinegar, shallots, mustard, salt and pepper in a covered container, such as a Mason jar. Let sit for at least 30 minutes. Add the fresh herbs, shake and pour over 4 cups shredded lettuce. We need to set a date for the first of the year get together!! !